A few weeks back we announced Twilio Monitor to give you detailed operational visibility into your Twilio account and Twilio-powered apps. This new level of transparency can help you build secure and compliant applications. Monitor logs errors and warnings, tracks usage against thresholds, and provides comprehensive event-logging and change-tracking for Twilio resources. All Monitor data can be consumed via an API within your app, and integrate with your existing analytics and Business Intelligence solutions. Today, we are happy to showcase how our technology partner, Microsoft, has integrated Twilio with their Power BI product. 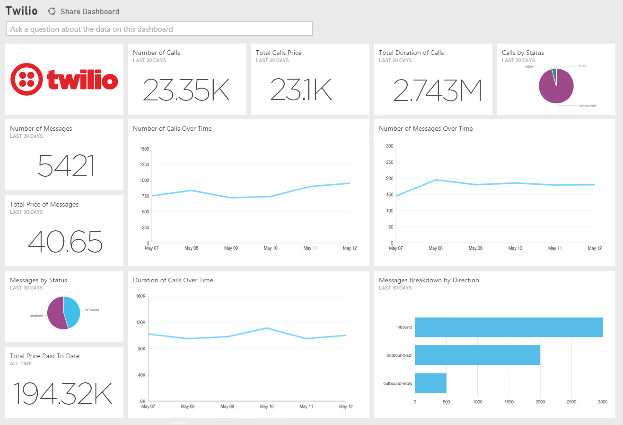 The Twilio content pack for power BI helps you understand aggregate business metrics associated with calls and messages pertaining to your account. This toolkit offers a ready-to-use version to get pre-defined reports or the option to customize it and generate your own dashboards. 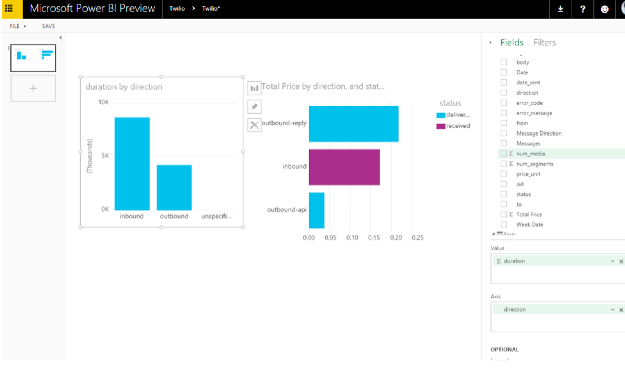 It is really simple to connect to Twilio in Power BI. You can click on the Twilio data source in the ‘Get Data’ page and use your Twilio username and password. 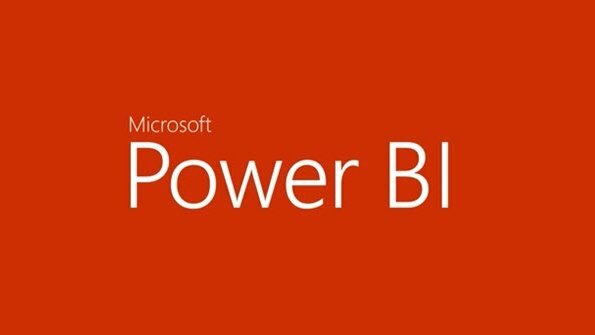 Power BI will then pull your data from Twilio and create a data set as well as a canned dashboard to help you get started. 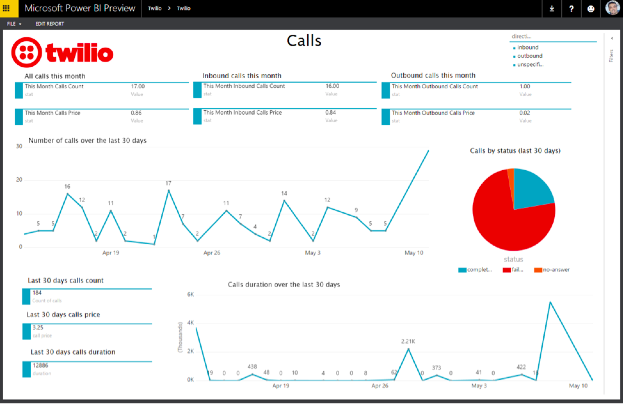 You can use this dashboard to look at Twilio usage information from calls and messages as well as historical data such as your “All time spending” or “All time number of calls”. This data is automatically refreshed everyday and you can customize the dashboard as needed. For more granular information, just click on the dashboard to get a closer view of your activities. You can view out of the box reports in three different ways, featured below. In order to customize your dashboards and look at the data that is relevant to your business, you can simply click on the Twilio dataset under the Datasets sections. Now you can pick fields that are important to you and start monitoring your business. Twilio provides various APIs that you can integrate into your business applications to build similar monitoring solutions that best suit your needs. The more visibility you have around your data, the more confident you can be about your decisions. You can start using Monitor here and please let us know if you have any questions or feedback at help@twilio.com.